It’s official—the post-holiday slump is in full effect. Once the remnants of gifts, goodies and good times with family and friends are gone, it’s easy to get into a funk. Let’s not forget the serious lack of sunlight and cold temperatures keeping you cooped up indoors—it’s a total buzzkill. Going to work in the dark and returning home in the dark can be a real downer. Supplement your sunshine with a light box. Traditionally used to combat the symptoms of seasonal depression, light boxes are flat screens that project intense, full-spectrum fluorescent light. For the best results, position yourself 12-18 inches from the light box when you first wake up and soak in the light for 30-60 minutes every day. Spice up your happiness and improve symptoms of depression by adding a touch of turmeric to your diet. Sprinkle it in your tea, or add it to sauces, soups, drinks and more. The spice’s potent antioxidant and anti-inflammatory properties are believed to account for its brain-boosting benefits. You should aim to incorporate 400 – 600 mg, three times a day. Using essential oils to restore balance is an effective and natural way to rid yourself of the effects of seasonally-caused sadness. Citrus-based oils, frankincense, marjoram, geranium, bergamot, lavender, and chamomile can all increase your serotonin levels. Use a diffuser, or simply apply a drop of the oil to your forehead, temples or behind your ears. Himalayan pink salt, that is. Try soaking in the calming orange glow from a Himalayan pink salt lamp. Himalayan salt is anti-bacterial, mucolytic (loosens mucus & phlegm), and anti-inflammatory. It can calm your mood, increase focus and increase the flow of oxygen to your brain. For an even more immersive experience, visit a salt cave. Breath in fresh salt air and dip your toes in 5,000 lbs. of pink salt, as you relax and rejuvenate for 45 minutes. A great way to get out of the house and boost your mood is through volunteering. There are scientifically-backed benefits to giving, like increased sense of self-worth, the release of dopamine (a feel-good neurotransmitter) and decreased signs of depression. You can find a list of upcoming opportunities here. Just want to cuddle up indoors? Do it with a furry friend instead! Research suggests that dogs and cats can provide a sense of calm and support mental wellbeing. Plus, they’re a great excuse to get outside. Don’t have your own pooch? Offer to sit for a friend or sign-up for a sitting service like Rover. When all else fails, go on and treat yourself to a tropical getaway. A little sun, sand and water could do your health some good. Research shows that your brain processes natural landscapes better, making the sight and sounds of the sea, a great way to lower stress and distress levels. Plus, you’ll increase your intake of Vitamin D with all that added sunlight. 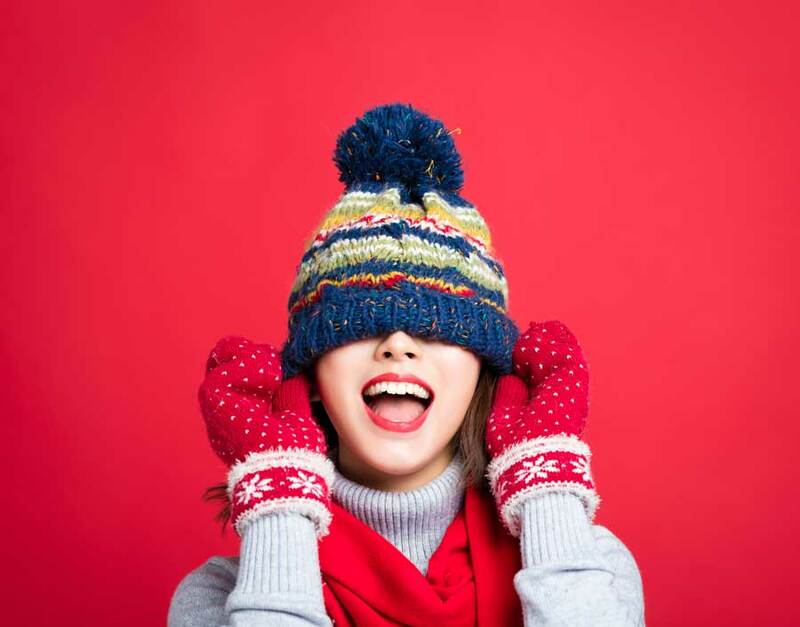 If you’ve been feeling depressed most of the day, hopeless or worthless, have difficulty sleeping, concentrating and enjoying activities you once enjoyed, you might be dealing with something more than a case of the winter blues. You could be suffering from seasonal affective disorder, or SAD. SAD affects five percent of the population every year, according to the American Academy of Family Physicians. If you suspect you need help, don’t suffer in silence, speak with your doctor about the best plan of action, so you can start feeling like yourself again.